On this Coffee Chat Exclusive, Coffee With Kenobi Blogger James Howell has an amazing conversation with Mark Dodson. 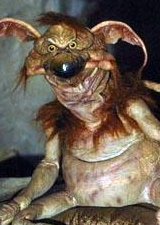 Mark is best known to Star Wars fans for voicing Salacious Crumb, but is also the voice of the Gremlins in the two Gremlins films. We hope you enjoy this incredible interview! This is the Podcast You’re Looking For! A very special thanks to James for making this interview happen, and for all of his hard work. We also want to thank Coffee With Kenobi and Assembly of Geeks Rock Star Jeff McGee for his editing and time. great interview, James! Mark had some interesting stories on how he got involved and the process of doing voice work.